The crowning glory of this work is in the last pages which give us computer generated isometric cutaways and internal views in a very large format which makes it ideal for the researcher and detail obsessed modeller! The big plus of this work are computer generated isometric cutaways and internal views in a very large format which makes it ideal for the researcher and rivet counting model-maker. As these views are in colour, this will make completion of the interior of your model a piece of cake! 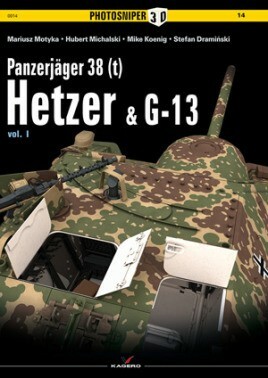 For anyone fitting the interior to a model of a Hetzer, the detail and colour guidance you can get from this is excellent.